THE H.H. 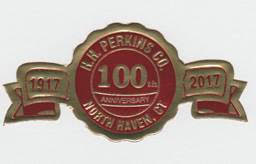 PERKINS COMPANY, INC. Supplying quality Seatweaving and Basketweaving supplies for over a century, since 1917! Also repair all types of chair repairs, hand cane, cane webbing, Danish Cord, binder cane, Shaker tape, wicker repair, fibre rush, natural rush etc. Regluing service, pickup and delivery available, also complete weaving supplies.